The Scottish War Graves Project :: View topic - Lyne Kirk. Posted: Mon Sep 08, 2014 9:23 am Post subject: Lyne Kirk. Lyne Kirk is situated 4 miles West of Peebles on the A72. Son of the Very Rev. 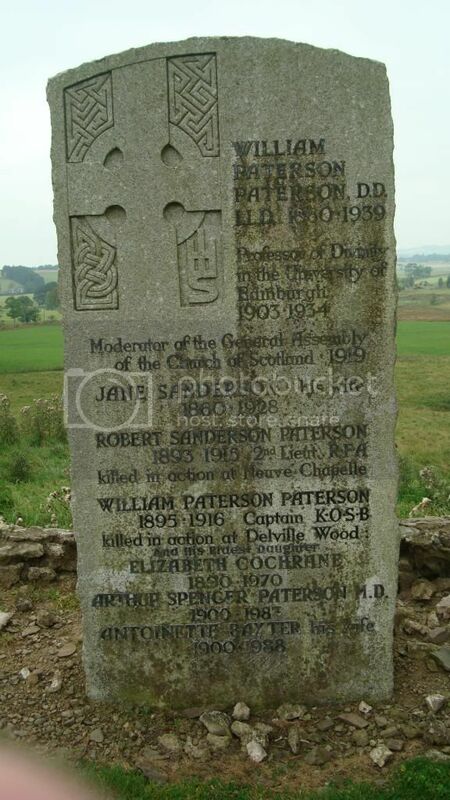 W. P. Paterson, D.D., Professor of Divinity in the University of Edinburgh and Jane Sanderson Paterson, of 3, Royal Terrace, Edinburgh. Born at Crieff. Educated at Old Aberdeen Royal High School and Fettes College, Edinburgh. Enlisted when undergraduate in Arts at Edinburgh University, Aug., 1914. Regiment/Service: King's Own Scottish Borderers3rd Bn. attd. 2nd Bn. Panel Reference: Pier and Face 4 A and 4 D.
Son of the Rev. 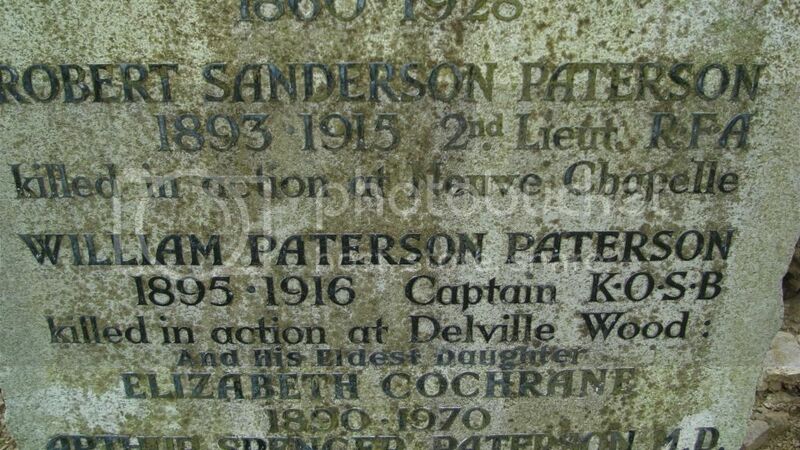 W. P. Paterson, D.D., Professor of Divinity in the University of Edinburgh, and Jane Sanderson Paterson, of 3, Royal Terrace, Edinburgh. An apprentice (Tweed Mill, Galashiels).